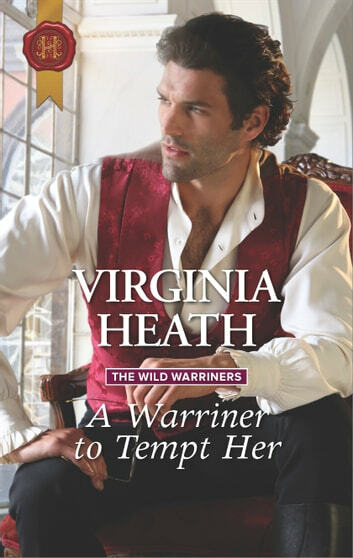 A Warriner To Tempt Her is the third book in The Wild Warriners series and is based on Dr. Joe Warriner. Oh be still my heart, Joe is definitely in the running to being one of my favorite Warriner brothers! Joe is the quiet, level-headed third brother and in this story he has already become a doctor and established his office. He is a good, kind man who is dedicated to his patients and his profession. He also has chosen to take a more modern approach to his practice than to continue to follow the ideas from the Dark Ages. What a fabulous hero he is! Lady Isabella (Bella) Beaumont and her family are in the country for the summer to help Bella overcome a traumatizing incident. Circumstances bring Joe and Bella together and Bella ends up helping Joe in his practice. Virginia Heath has a wonderful way of creating characters that you really get connected with and I couldn't help but love these two from the very beginning. The romance between Joe and Bella grew gradually from respect to friendship to both wanting something more. It was wonderful to watch Bella gradually overcome her fears and start to trust Joe and become the woman she was before the incident. I can't imagine a better couple more deserving and so compatible as these two! A beautiful romance and a fascinating story on the medical situation of the era kept me up till the wee hours of the night. Highly recommend this book and series!